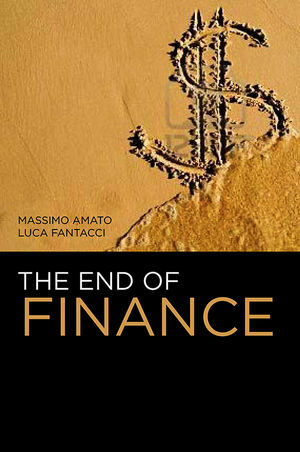 This new book by two distinguished Italian economists is a highly original contribution to our understanding of the origins and aftermath of the financial crisis. The authors show that the recent financial crisis cannot be understood simply as a malfunctioning in the subprime mortgage market: rather, it is rooted in a much more fundamental transformation, taking place over an extended time period, in the very nature of finance. The ‘end’ or purpose of finance is to be found in the social institutions by which the making and acceptance of promises of payment are made possible - that is, the creation and cancellation of debt contracts within a specified time frame. Amato and Fantacci argue that developments in the modern financial system by which debts are securitized has endangered this fundamental credit/debt structure. The illusion has been created that debts are universally liquid in the sense that they need not be redeemed but can be continually sold on in increasingly extensive global markets. What appears to have reduced the riskiness of default for individual agents has in fact increased the fragility of the system as a whole. The authors trace the origins of this profound transformation backwards in time, not just to the neoliberal reforms of the 1980s and 90s but to the birth of capitalist finance in the mercantile networks of the sixteenth and seventeenth centuries. This long historical perspective and deep analysis of the nature of finance enables the authors to tackle the challenges we face today in a fresh way - not simply by tinkering with existing mechanisms, but rather by asking the more profound question of how institutions might be devised in which finance could fulfil its essential functions. MASSIMO AMATO is a Researcher in Economic History at the Università Bocconi in Milan. LUCA FANTACCI is Assistant Professor at the Università Bocconi in Milan. I. Do we know what the financial markets are? VI. If not now, when? This is a work of real quality on an immensely important topic - i.e. why the current financial crisis came about and what we can and should do to reform the financial system. The authors develop a very distinctive and original argument about the nature of the modern financial system and how to reform it which should attract attention. This book will sell into economics, political economy and economic sociology, which are solid markets, and to those working in the area of critical accountancy. The text is accessible and should appeal to professionals and others interested in understanding the origins of the financial crisis.